Painting with Lulu is a new coloring app that's great for kids! Come meet Lulu and her friends: Milky, Bob, Max, Toby, Jill, Lucy, Rudy and Tom. All of Lulu's friends are recyclable consumer goods that represent a part of life cycle of environmentally friends products. The Future of Coloring Books! 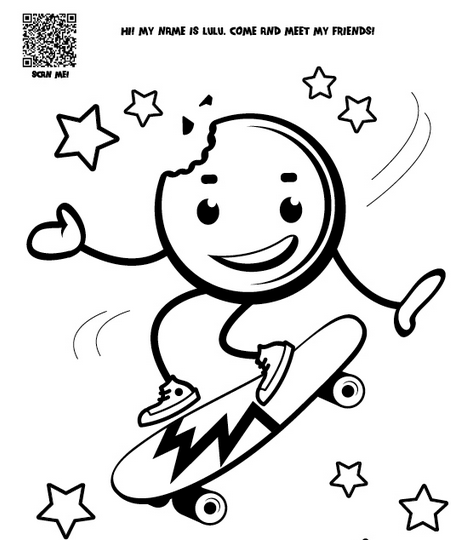 Color on paper, scan it with your tablet, and continue to color digitally! The Painting Lulu App contains 4 coloring books plus a special Holidays coloring book! for free! Check out a demo of the app here!